Our apartment is in the centre of Budapest in one of the most busy district just a walking distance from the main tourist attractions. 2 minutes walk from tram, bus and metro stations. A parking garage is available at 300 meters. 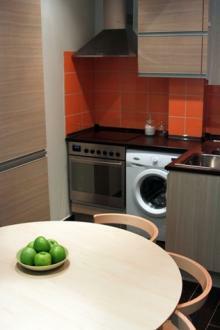 The apartment is well-equipped and recently renovated. The apartment consists of three furnished individual rooms with separated bathrooms. The fully equipped kitchen is for common use. All rooms have LCD television, high speed Internet connection, air conditioning and beddings. Washing machine, ironing board and iron are available at an additional price.